The ATR provides medical coverage at sporting events for athletes of all ages and ability levels. We primarily cover events in Central Iowa but have multiple events across the state each year. We are committed to the health and safety of every athlete and assist event planners by being in contact with emergency medical personnel prior to the event, reviewing emergency action plans with necessary staff, and holding our own staff to very high standards. If you are an event planner and would like to contact us for an upcoming event, please fill in the boxes below or call us at 515-964-5000. The Athletic Training Room is staffed by athletic trainers with many years of diverse sports medicine experience at all levels of competition. We have been trained to progress an injured individual from initial injury back to full participation using evidence-based practice to ensure that the best care is given to each individual. All active people are susceptible to injury and our staff is here to return you to the activities you love. The Athletic Training Room is staffed with certified athletic trainers who specialize in rehabilitation of sports and activity related orthopedic injuries. We use an evidence-based approach to the rehabilitation of sports and orthopedic injuries by applying the most current research and working with your surgeon. We work with you before your surgery to enhance the outcomes and then develop your long-term rehabilitation program designed on an individual basis, to speed your recovery. ” We are committed to returning each individual to the fullest participation level in the activity they love. We believe each person should expect the quality of care that was once exclusive to professional athletes. Contact our staff for an evaluation and consultation about your injury. Each of the certified athletic trainers at The ATR have been trained in various methods of soft-tissue therapy, including Active Release Technique, myofascial release, joint mobility, various manual techniques, and deep tissue massage. We help our clients; improve flexibility, range of motion, and mobility, enhance athletic performance, and decrease pain, soreness, and injury risk. This program is designed on an individual basis to increase speed and agility, improve balance and proprioception, and decrease injury risk. 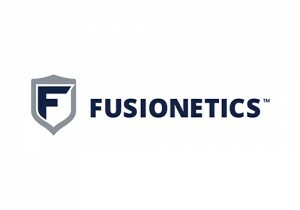 Each athlete is assessed individually with a Fusionetics functional movement screen. The athletic trainer will take the results from the movement screen, and incorporate sport-specific drills and strengthening to encourage athletic development. A concussion is a traumatic brain injury that can be caused via a direct blow to the head, neck, or face, or an indirect blow to the body resulting in an impulsive force transmitted to the head. As a result of the rapid movement of the brain within the skull, delicate neural pathways in the brain can become damaged resulting in neurological impairments. Brain injuries can lead to long-term issues including, but not limited to, memory loss, concentration issues, visual disturbances, chronic headaches, and difficulty concentrating. All athletes, regardless of sport, are susceptible to concussions. Fewer than 10% of sport related concussions result in a loss of consciousness or reports of blacking out/seeing stars. Recognition, proper response, and proper treatment of concussions when they first occur can help prevent any further injury, and even death. Recovery from a concussion will be significantly influenced by the degree of injury, in addition to the number of concussions that a person has sustained. What are common signs and symptoms of a concussion? The vestibular system is a sensory system in the body that provides feedback about motion, equilibrium, sense of balance, and spatial orientation. This system helps to produce reflexive movement of the eyes and limbs in response to head motion in order to properly stabilize and orient our bodies. When these reflexive movements of the eye are disrupted due to an injury such as a concussion, it can result in symptoms such as dizziness, headaches, blurry vision, and imbalance. Vestibular training is an exercise-based program that is used to help improve concussive symptoms associated with the vestibular system, such as balance difficulties, motion sensitivity, dizziness, and visual issues. Training can be used to treat patients with prolonged symptoms lasting longer than three weeks, but can also begin as soon as one week after a concussion is sustained. The key to providing proper care and treatment is to screen for any vestibular impairment. Therefore, a vestibular evaluation assessing eye movements, tracking, and all concussive symptoms will be performed for each incoming patient and an individualized program will be created to best suit each person for their particular problems and sport/activity. At The ATR, we value education, and provide materials for coaches, parents, athletes, and other athletic trainers in order to encourage evidence-based practice. The ATR is committed to the health and safety of every athlete. We provide educational opportunities for coaches to help them recognize common injuries and conditions, provide first aid, and manage emergency situations. If you are a coach looking to complete your authorization, need to renew certifications, or just interested in evidence-based sports medicine topics – check out the links on this page. An athletic trainer is an allied healthcare professional who specializes in the prevention, diagnosis, assessment, treatment, and rehabilitation of muscle, ligament, tendon, and bone injuries. The ATR is staffed with athletic trainers in a private clinical setting. We provide educational programming as a BOC provider to keep ATC’s and students up-to-date on the newest information. The ATR values volunteer involvement and works closely with IATS and MAATA to enhance the profession of athletic training. The ATR values the health and safety of all athletes. We provide certified athletic trainers at sporting events all over the state of Iowa. Athletic trainers are specifically trained to; assess acute orthopedic injury and determine participation status, handle cardiac and respiratory emergencies, evaluate concussions and critical head and neck injuries, and work with event planners to develop emergency actions plans. We strive to keep athletes safe and healthy while they perform the activities that they love. Walk-ins are welcome, or call 515-964-5000 to schedule an appointment.